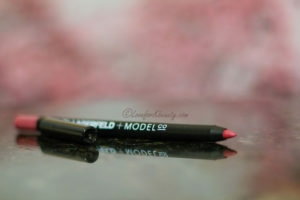 When I use this for outlining my lip I really like it, I feel that it does a great job in keeping my lips looking nice. 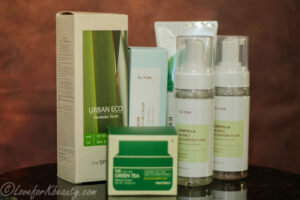 If you have a lot of fine lines around your lips or problems with a specific lipstick bleeding around your lip. 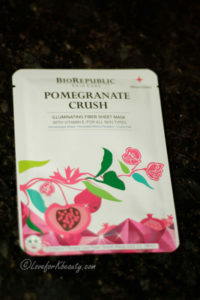 The fitting of the Biorepublica Pomegranate crush illuminating sheet mask is really nice. I am a regular user of sheet masks and I do find the fitting of this one to be really amazing. I have large eyes and when it comes to Korean or Japanese sheet masks the eye area is usually a little tight.